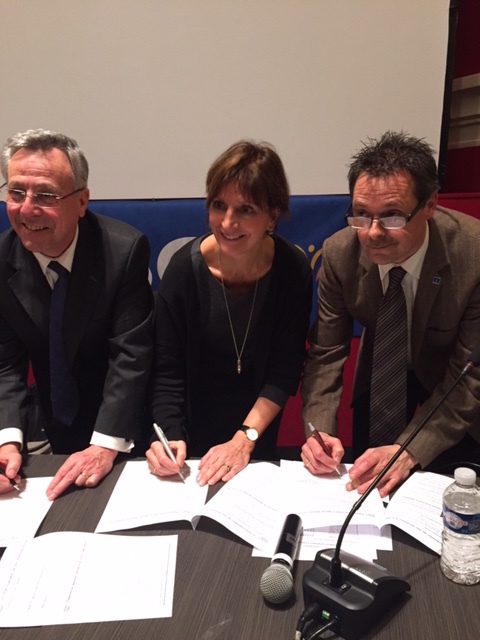 In 2016 the FISEC Summer Games will be organised by France and again in collaboration with FICEP. The theme of the games is “Les Jeux de la Fraternité”. The event will be organised in the city of Beauvais, not far from Paris. Signing of the contract for the 2016 games, Paris. From left to right: Daniel Renaud (France), Lies Janssen (President FISEC), Herman van Driessche (President CTI). Previous Previous post: Follow us on Facebook and Twitter!